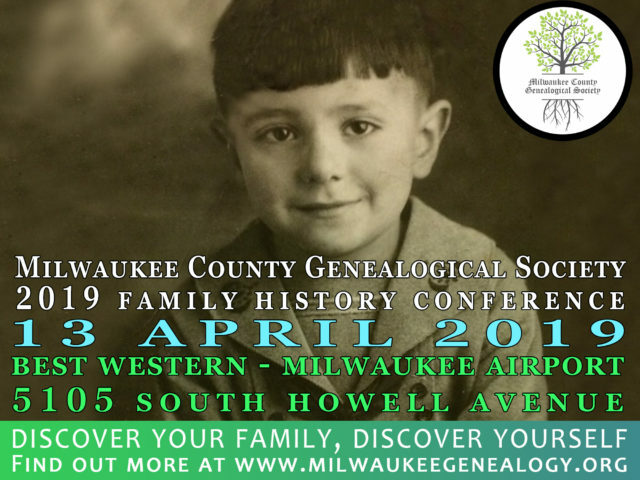 The 2019 Milwaukee County Genealogical Society conference includes workshop sessions, exhibitor and vendor booths, lunch, auction and raffle prizes. Learn more about your own and your family’s history. Collaborate with like-minded individuals. Brand new to genealogy? This is the perfect opportunity to get your feet wet. Advanced genealogist? As the world of genealogy keeps changing, there’s always something new to learn. It’s not too late to sign up — all are welcome to attend.